Sometimes, people live successfully in an assisted living community, but concerns over finances arise over time. For others, they just may prefer not to live alone. 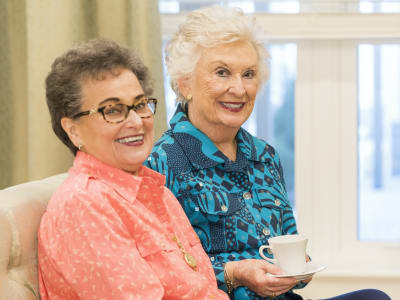 Lifestyle Suites™ provide all the benefits of companion living, while offering the same full scope of personalized care, luxury services, and unmatched amenities that all Maplewood communities offer. Lifestyle Suites™ provide a resident the ability to share an apartment with someone whom they are compatible with in terms of sharing similar interests, abilities, and even care. Maplewood takes pride in offering the best possible match for each of our residents. Lifestyle Suites™ is a custom program intended to provide premier services and solutions to Maplewood residents and their families.